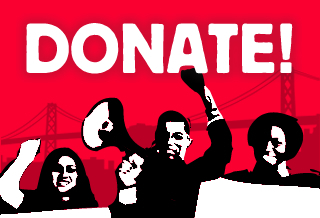 The Black Priorities Project (BPP) is a long term organizing project investing resources and capacity into building social, economic and political power for Black people in the Bay Area at a time when Black people are facing a crisis of displacement, criminalization, and economic marginalization across the region. San Francisco has the highest displacement rate of Black families anywhere in the country, aside from post-Katrina New Orleans. Oakland has also seen a 25% drop in Black families over the last decade. 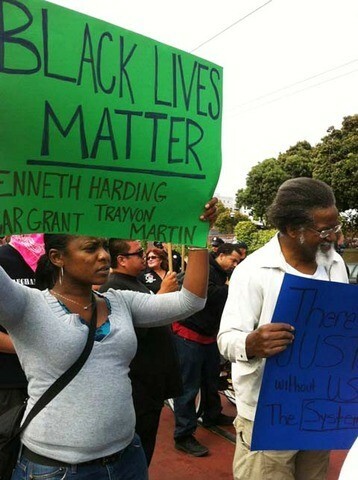 In fact, the only city in the Bay Area where the Black population has been increasing is the outlying suburb Antioch. 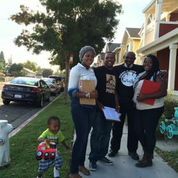 The Black Priorities Project is linking the struggles our communities are facing in each of these cities, and connecting with Black organizing projects across the country facing the common struggle from Ferguson to Antioch of anti-Black violence, criminalization, and the suburbanization of poverty. The Black Priorities Project is building the leadership of Black workers, youth, seniors, and families to advance coordinated strategies around the region which improves conditions for Black people in the Bay area as a whole. YES On California Proposition 47: The Black Priorities Project mobilized voters in San Francisco and Oakland in support of CA prop 47, the Schools Not Jails initiative. In the state with the highest incarceration rate in the world, Prop 47 has an immediate impact on reducing mass incarceration of Black and Latino families, by reclassifying six low-level crimes from felonies to misdemeanors. This initiative has an immediate impact on over 10,000 current and formerly incarcerated individuals and their families – and redirects over $250 million dollars from prison to schools, trauma support, and rehabilitation services. No Implosion of Candlestick Stadium: The Black Priorities Project supported local residents in a short-term campaign at the start of 2015 to stop the Lennar Corporation from moving forward a plan to implode Candlestick Stadium as part of a planned condominium development. The stadium is surrounded by family housing, an elementary school, and a trailer park. The implosion posed serious health concerns for all of these existing residents. Through phone pressure campaign, and community mobilization to public hearings, the surrounding residents were able to push Lennar to remove their application for a permit to implode. 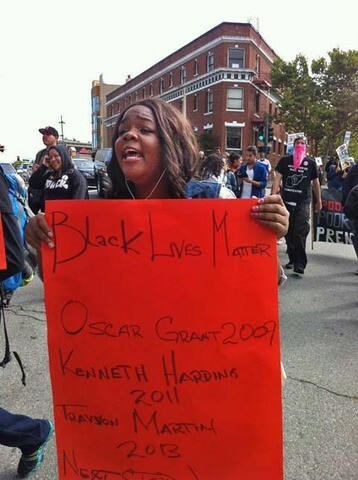 Black Lives Matter: As the national movement Black Lives Matter continues to grow in response to police and vigilante murders of unarmed Black people across the country, the Black Priorities Project is actively engaging our communities in local and national mobilizations as well as long-term campaign work. The Black Lives Matter vision uplifts the value of Black life, not only in the face of state violence, but in the full totality of the quality of life — the conditions of our neighborhoods and schools, the right to dignity, healthy communities, and economic self-determination. Development Without Displacement: The BPP is continuing to organize residents in Oakland and San Francisco around key anti-displacement campaigns.